Income earned through these investments and the capital appreciation realized is shared by its unit holders in proportion to the number of units owned by them. A mutual fund is the most suitable investment scope for common people as it offers an opportunity to invest in a diversified, professionally managed basket of securities at a relatively lower cost. A mutual fund is not an alternative investment option to stocks and bonds, rather it pools the money of several investors and invests this in stocks, bonds, money market instruments and other types of securities. Buying a mutual fund is like buying a small slice of a big pizza. The owner of a mutual fund unit gets a proportional share of the fund’s gains, losses, income and expenses. The company that puts together a mutual fund is called an AMC. 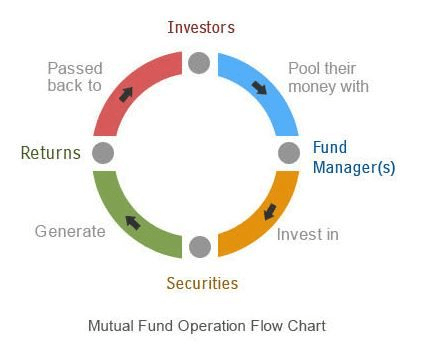 An AMC may have several mutual fund schemes with similar or varied investment objectives. The AMC hires a professional money manager, who buys and sells securities in line with the fund's stated objective. The money you invest in the mutual funds floated by any company is regulated by Securities and Exchange Board of India (SEBI). 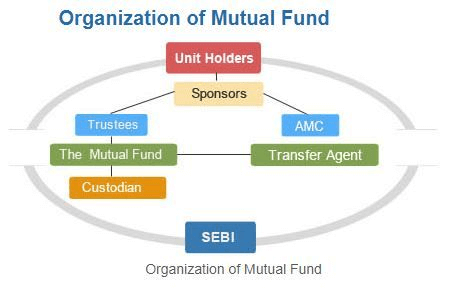 In other words, SEBI regulates these Fund houses and also frames polices and norms for the mutual funds to function, thus ensuring that the investor’s money is safe from any embezzlement or frauds. However, being market dependent, mutual fund returns cannot be guaranteed by SEBI and corresponding to the market performance, returns can be positive or negative. The fund’s objective is laid out in the fund's prospectus, which is the legal document that contains information about the fund, its history, its officers and its performance. NAV is the total asset value (net of expenses) per unit of the fund and is calculated by the AMC at the end of every business day. The value of all the securities in the portfolio in calculated daily. From this, all expenses are deducted and the resultant value divided by the number of units in the fund is the fund’s NAV. AMCs charge an annual fee, or expense ratio that covers administrative expenses, salaries, advertising expenses, brokerage fee, etc. A 1.5% expense ratio means the AMC charges Rs1.50 for every Rs100 in assets under management. A fund's expense ratio is typically to the size of the funds under management and not to the returns earned. Normally, the costs of running a fund grow slower than the growth in the fund size - so, the more assets in the fund, the lower should be its expense ratio. Some AMCs have sales charges, or loads, on their funds (entry load and/or exit load) to compensate for distribution costs. Funds that can be purchased without a sales charge are called no-load funds. At any time during the scheme period, investors can enter and exit the fund scheme (by buying/ selling fund units) at its NAV (net of any load charge). Increasingly, AMCs are issuing mostly open-ended funds. Redemption can take place only after the period of the scheme is over. However, close-ended funds are listed on the stock exchanges and investors can buy/ sell units in the secondary market (there is no load). Two key documents that highlight the fund's strategy and performance are 1) the prospectus (legal document) and the shareholder reports (normally quarterly). Fund managers are responsible for implementing a consistent investment strategy that reflects the goals of the fund. Fund managers monitor market and economic trends and analyze securities in order to make informed investment decisions. Diversification is one of the best ways to reduce risk (to understand why, read The need to Diversify). Mutual funds offer investors an opportunity to diversify across assets depending on their investment needs. Investors can sell their mutual fund units on any business day and receive the current market value on their investments within a short time period (normally three- to five-days). The minimum initial investment for a mutual fund is fairly low for most funds (as low as Rs500 for some schemes). Most private sector funds provide you the convenience of periodic purchase plans, automatic withdrawal plans and the automatic reinvestment of interest and dividends. Mutual funds also provide you with detailed reports and statements that make record-keeping simple. You can easily monitor the performance of your mutual funds simply by reviewing the business pages of most newspapers or by using our Mutual Funds section. You can pick from conservative, blue-chip stock funds, sectoral funds, funds that aim to provide income with modest growth or those that take big risks in the search for returns. You can even buy balanced funds, or those that combine stocks and bonds in the same fund. For more details please contact us.. Which Tax Saving product should you choose? Mutual Fund investments are subject to market risks, read all scheme related documents carefully. The NAVs of the schemes may go up or down depending upon the factors and forces affecting the securities market including the fluctuations in the interest rates. The past performance of the mutual funds is not necessarily indicative of future performance of the schemes. The Mutual Fund is not guaranteeing or assuring any dividend under any of the schemes and the same is subject to the availability and adequacy of distributable surplus. Investors are requested to review the prospectus carefully and obtain expert professional advice with regard to specific legal, tax and financial implications of the investment/participation in the scheme. While all efforts have been taken to make this web site as authentic as possible, please refer to the print versions, notified Gazette copies of Acts/Rules/Regulations for authentic version or for use before any authority. We will not be responsible for any loss to any person/entity caused by any short-coming, defect or inaccuracy inadvertently or otherwise crept in the Mutual Funds Sahi Hai web site.